The service’s best workers remained loyal to their profession and served the country and the people with honor and dedication throughout the most difficult periods of our history. It is important that the focus of your work has recently shifted to supervision of labor and social laws, including the payment of wages, pensions and benefits. I ask you to continue to monitor these issues especially closely. Colleagues, in the run-up to the anniversary, I outlined only some of the main areas of your expertise. You will discuss them in more detail at an annual extended board meeting. 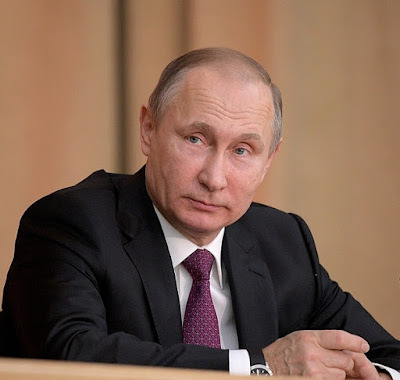 I believe that you will do your best to honorably fulfil your duties, strengthen the glorious traditions of the Russian prosecutor service, and contribute to solving strategic tasks for stronger and better Russia. Russian holidays are very long. First, we have the New Year, then Christmas and another tradition, the Old New Year. You also celebrate your professional day. Be careful. Vladimir Putin at the 295th anniversary of the Russian Prosecution Service. Vladimir Putin - congratulations on the 295th anniversary of the Russian prosecution service. 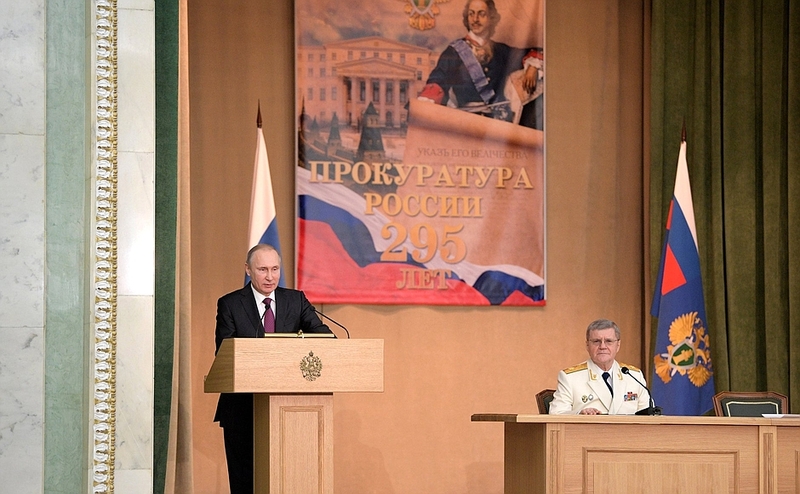 Vladimir Putin and Prosecutor General Yury Chaika. 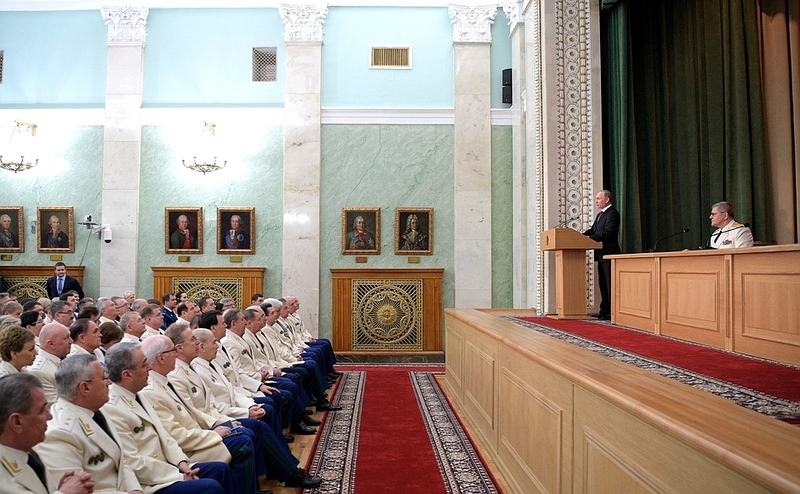 The 295th anniversary of the Prosecution Service in Russia. 1 Response to "Putin congratulated Russian Prosecution Service"